I’ve been putting this one off for a while because I hate lavender. I don’t want to see it. I don’t want to smell it. I certainly don’t want to taste it. But I do this all for you, and I wanted an excuse to buy a tart pan. I went to Macy’s to get the tart pan, then I went to the grocery store to buy the ingredients. I’m a very patient person, so it’s hard to explain how much rage I felt while I was there. 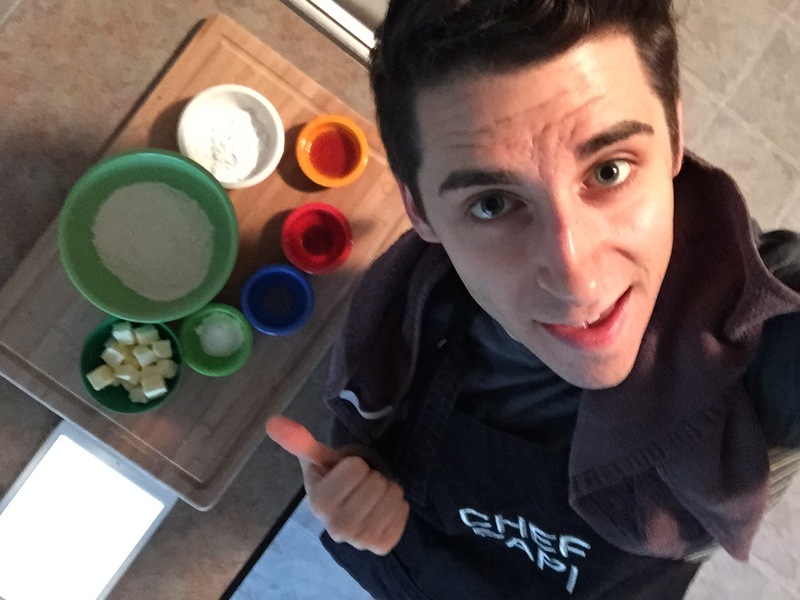 Don’t mistake the face I’m making in this selfie for joy. I was still irritated. 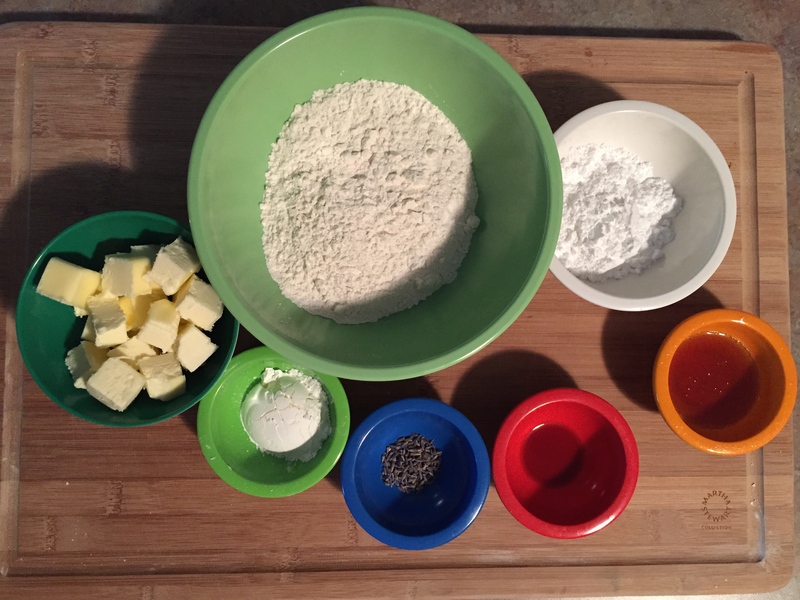 Step 1: Gather ingredients: Butter, flour, powdered sugar, honey, vanilla, lavender, cornstarch. That butter was $5. Five dollars. I don’t even care that much about that because the damn dairy aisle was IMPOSSIBLE to get through! I had to abandon my cart 30 feet away and weave between people. 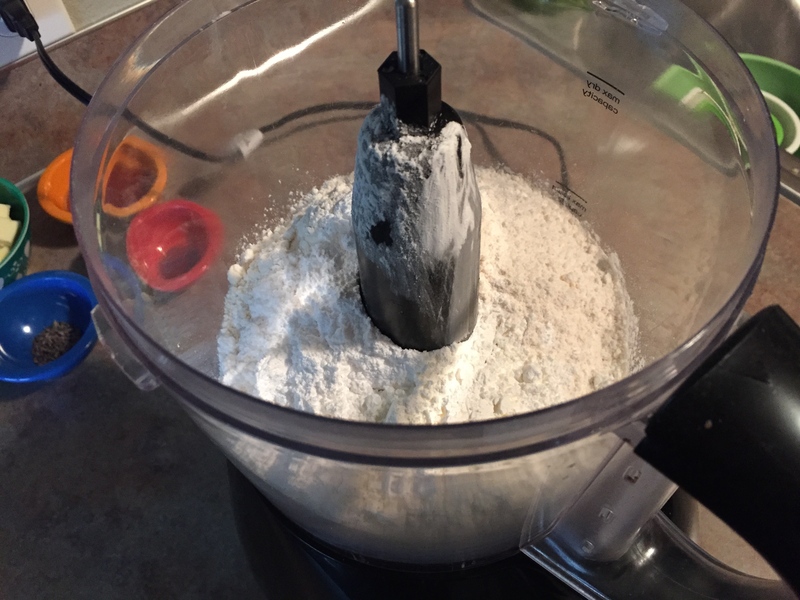 Step 2: Combine flour, powdered sugar, and cornstarch in food processor. I want you to do this: tilt your head up slightly and make your face look like you’re about to sneeze. Got it? That’s what the people’s faces looked like as they stared at the food on the shelves and BLOCKED THE AISLE with their giant carts! 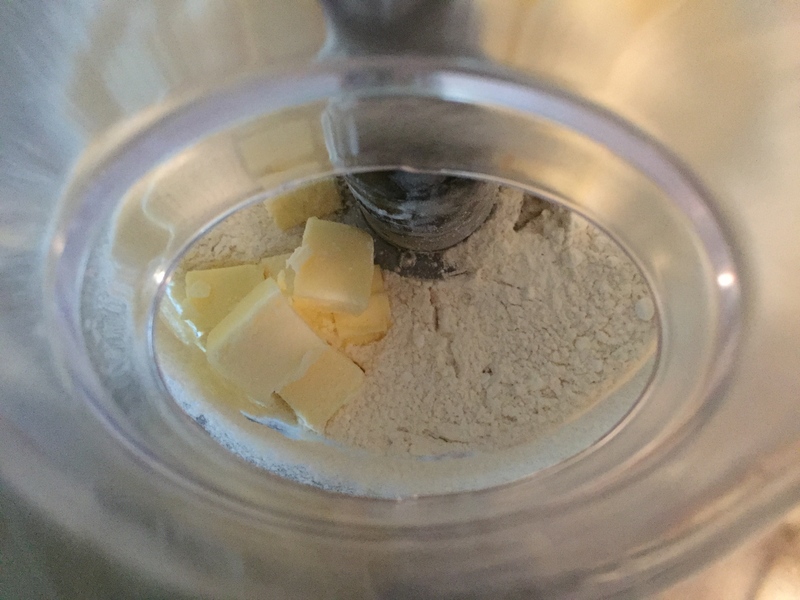 Step 3: Add butter and pulse until course crumbs form. After I returned to my cart with the butter, I realized I forgot something else in that aisle. I did not reenter. I moved on. 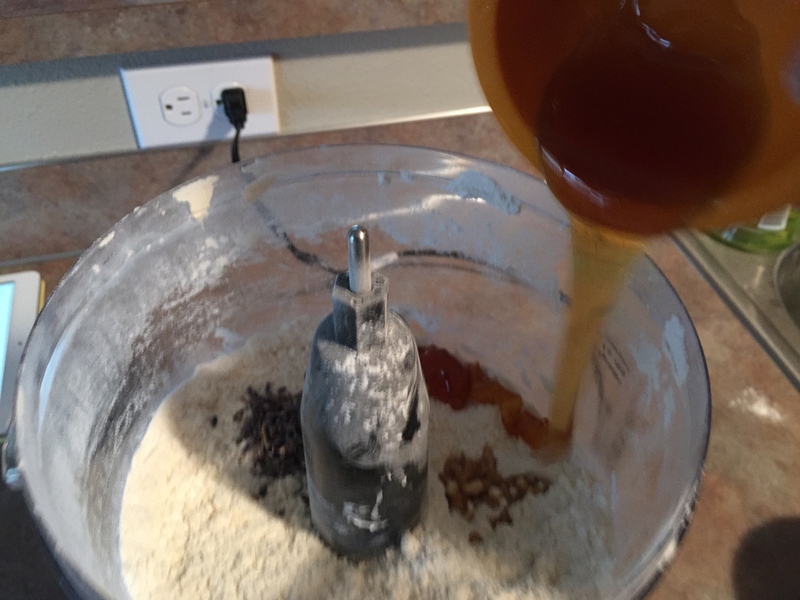 Step 4: Add honey, lavender, and vanilla. 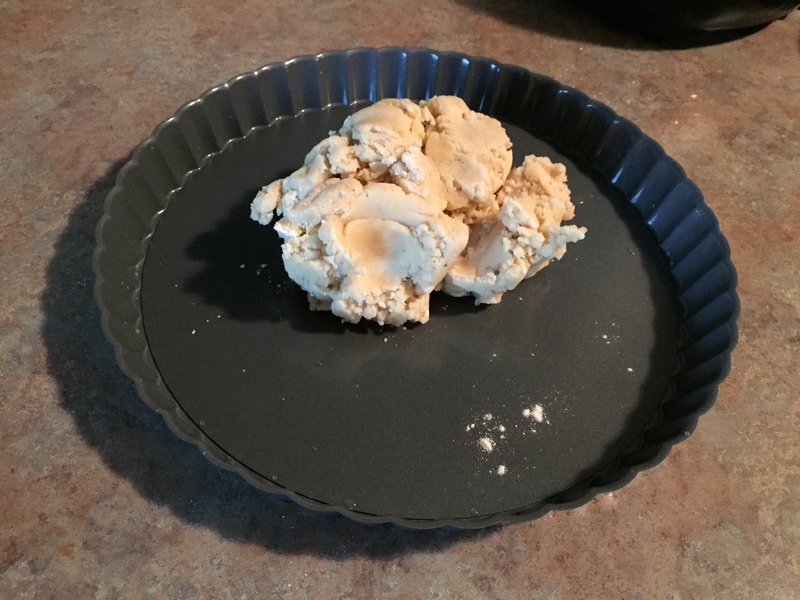 Pulse until dough pulls away from bowl. The entire store was like that. People everywhere. SPATIALLY UNAWARE PEOPLE EVERYWHERE. 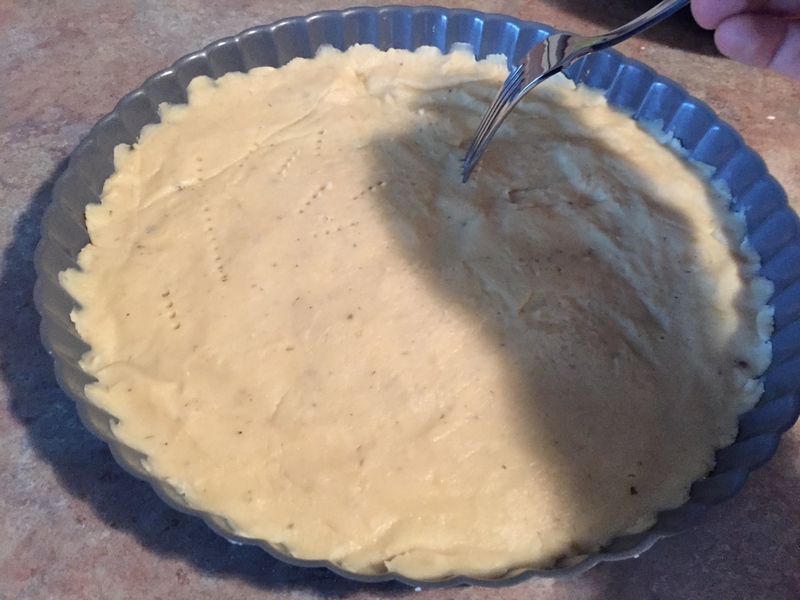 Step 5: Turn out dough into tart pan. I looked down in my cart, then at my list, and out of the corner of my eye I thought I saw…wait. No. A lady was walking down the aisle, yapping on her phone, and had a KITTEN ON HER SHOULDER. What the hell?! 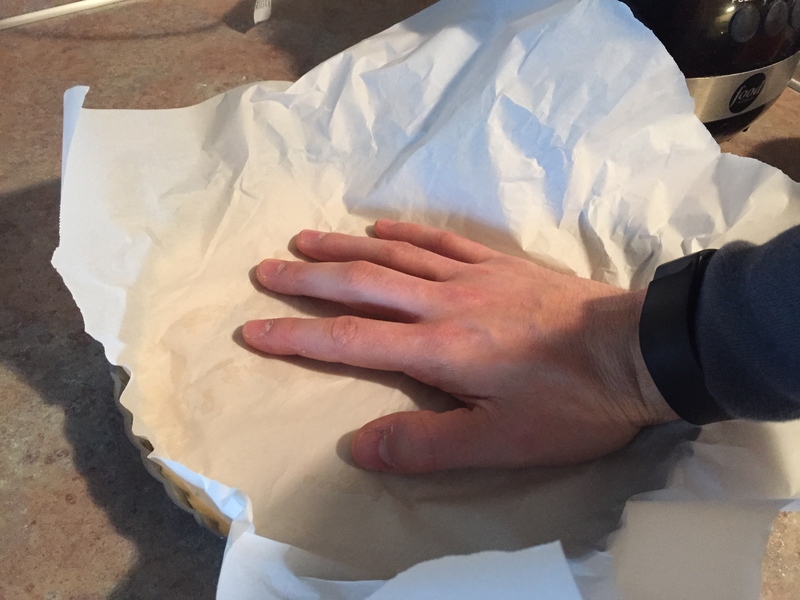 Step 6: Place parchment paper over dough and press to form a smooth, even layer. 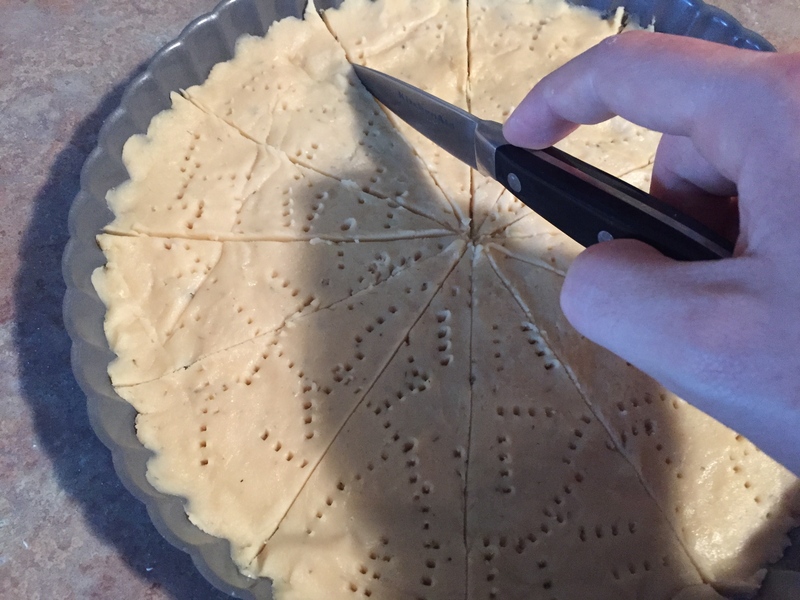 Step 7: Pierce dough with a fork. She called me to say she was on her way there and was nervous now. I advised her to stay away, but she has a child to feed or something. Step 8: Score the top into 12 wedges. I still had 6 items on my list, but I couldn’t do it. I went straight for the checkout. 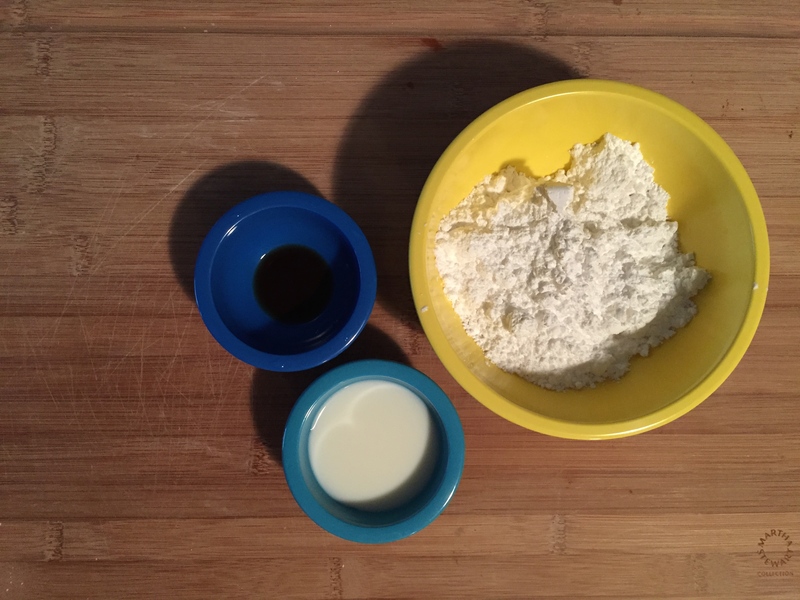 Step 9: While baking, gather ingredients for vanilla glaze: powdered sugar, milk, vanilla. I packed up my car and drove to a smaller, more expensive store to finish my shopping. 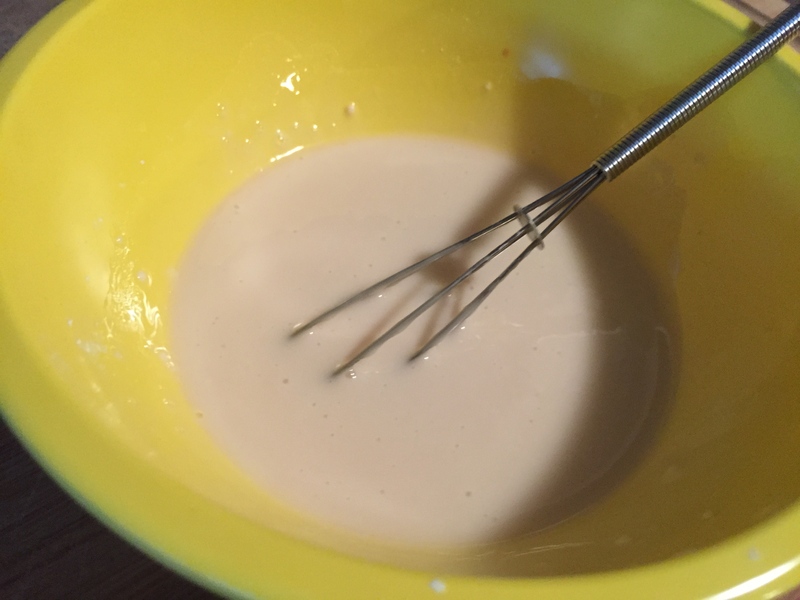 Step 10: Mix until smooth. I had to go to that store anyway because it was the only place to get lavender. And by now we all know I needed some to calm me down. 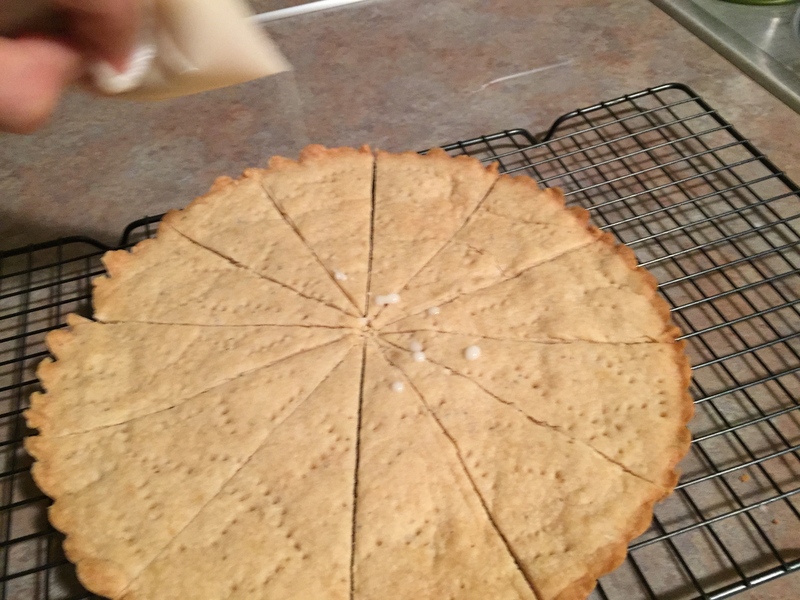 Step 11: After shortbread has cooled, drizzle the vanilla glaze. After I got home and completed this, I was calm again. Unfortunately, the taste of butter overpowered the lavender and nobody could taste it. Whatever. I still hate lavender. They updated the app to include the number of pieces/cookies and time again. Hallelujah. Going to the store at the beginning of the month, even in the middle of the day, is a bad idea. Crowded grocery stores are a trigger. How much more lavender should I have added to make it taste? 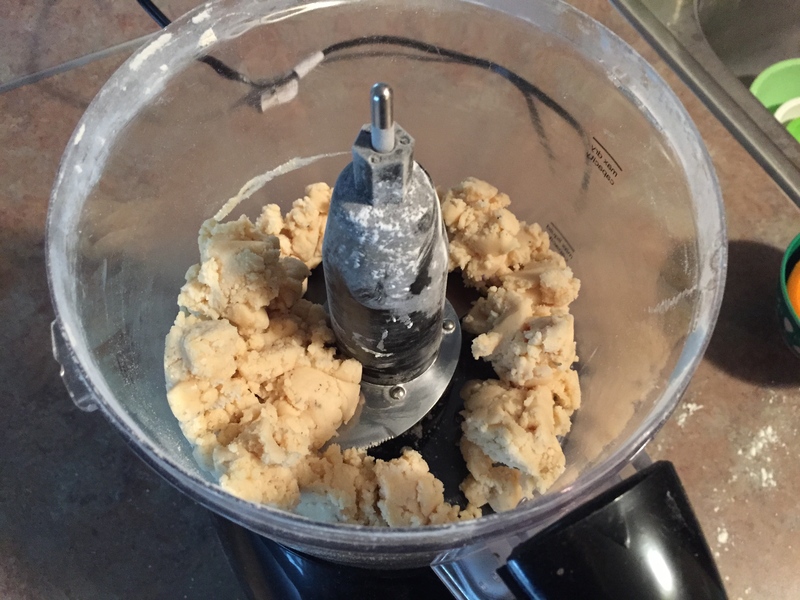 I used 1/2 teaspoon per the recipe. Why can I handle Black Friday crowds, but not grocery store crowds? I think it’s time for a nap. Bye. Yum! I can’t wait to try these. 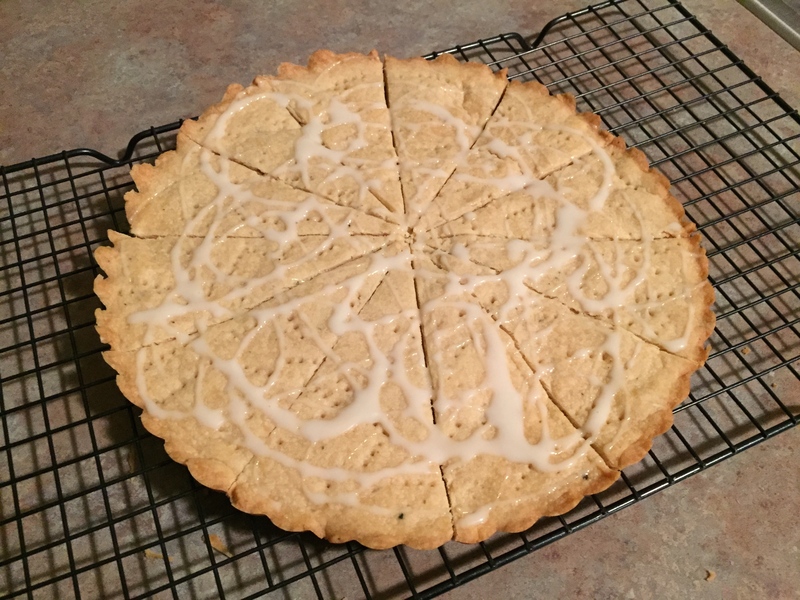 Shortbread anything-I love it! 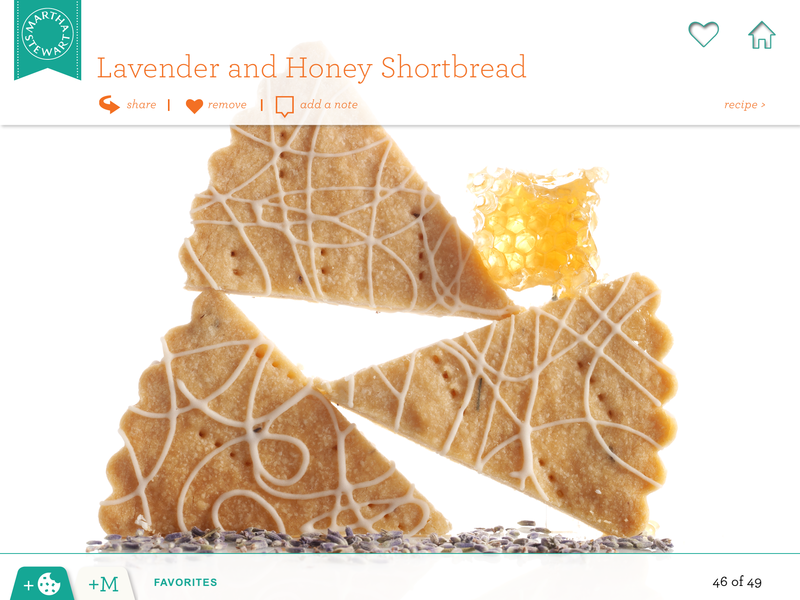 I will smell a sprig of lavender before each bite, just gimme the dang shortbread.